Start taking classes at Dance Spa and other studios! 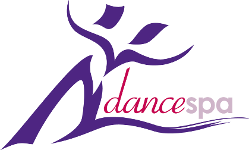 Dance Spa has an energetic, comfortable environment to learn dance, get fit and have fun. Instructors have more than 15 years in professional dance training, and they know how to have a good time, too! Love this class the studio. Such a lovely friendly atmosphere. Love Christa - such a fun class! A fun and welcoming environment! Very easy to follow and beginner friendly. Instructor was enthusiastic and fun! Great energy, great teacher. Got my heart rate up pretty good! Fun dancing and positive instructor. Great for all levels!